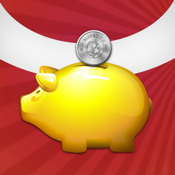 3) Every day child can click to "start savings" button and drop the allotted coins from to the piggy bank. The savings is capped to the daily limit set by the parent. 4) From the Savings Menu, both child and parent can see the Total Savings, Money Redeemed. 5) The child can click the Redeem money after which the child will be shown the goal and the target value for the goal. If the target value is reached , the child can click the Redeem Button to redeem the money.